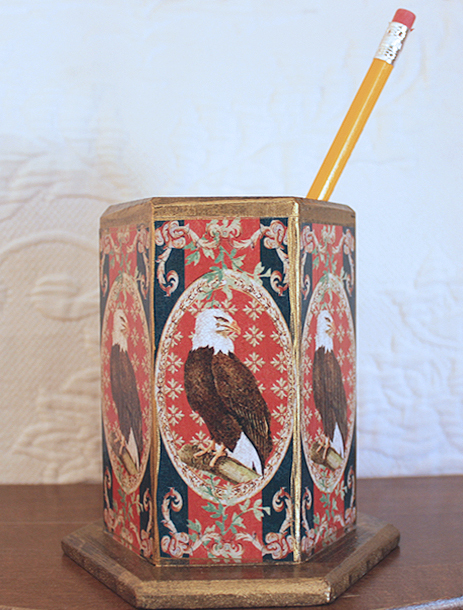 An image of a majestic Eagle surrounded by red and blue designs is on all six sides of this 4.5 inch tall wooden pencil holder. 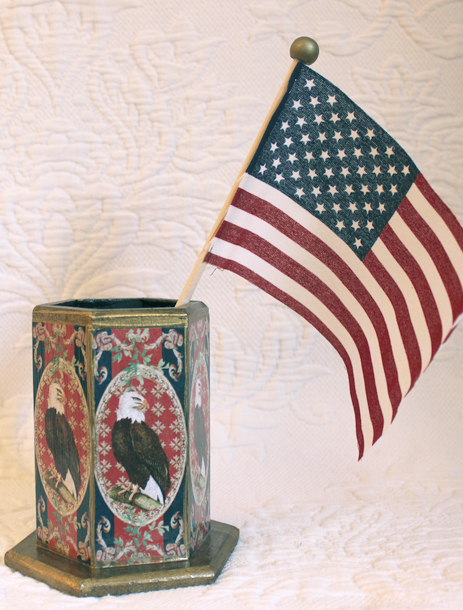 Perfect for pencils, pens, makeup brushes or an American Flag. Each decoupage pencil holder is made to order and is signed by the artist. Free shipping in the USA.